There are some people in your life that, no matter how long it’s been since you’ve seen them, you can pick up exactly where you left off. These friends are the ones you can always count on to be there for you, even if you may not talk everyday. My friend, Marina, is one of those friends for me. We became friends in high school, but since then she has lived as close as Delaware or as far away as California. None of that matters though, because when we see each other, the days, weeks, months, or even years just seem like seconds. 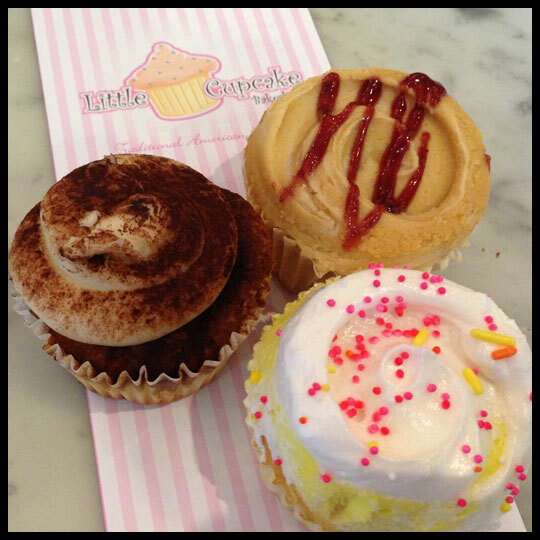 Not only is Marina a great friend, she also has a serious sweet tooth (she recently became a certified pastry chef), so it makes perfect sense that when I was in Florida, her current home state, we would do a little bit of cupcaking. When it comes to organizing a day of cupcakes, I usually take the lead on deciding which places we will visit and in what order, but after giving Marina a list of possibilities, she narrowed it down and mapped them out. It was so nice to have someone else help with the planning. 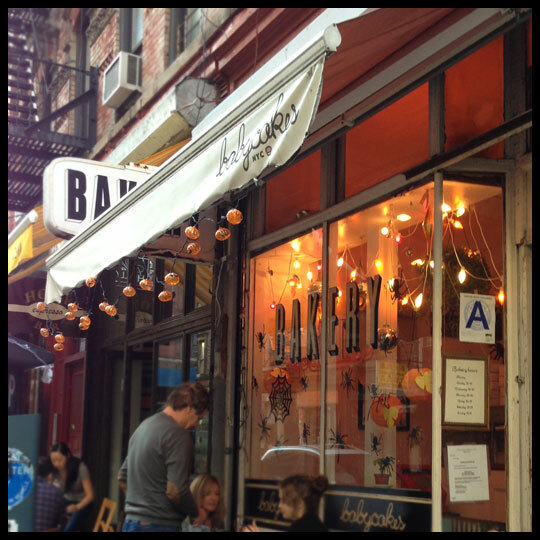 We decided that if we paced ourselves we could manage four places: Raphsodic (a vegan bakery), Blue Bird Bake Shop, Sweet! by Good Golly Miss Holly, and Sweet Designs Kitchen. After a tasty lunch at Thai Thani we made our way to Raphsodic, our first stop in downtown Orlando. Raphsodic has an eclectic vintage atmosphere which was carried through with their plates and mismatched antique forks. 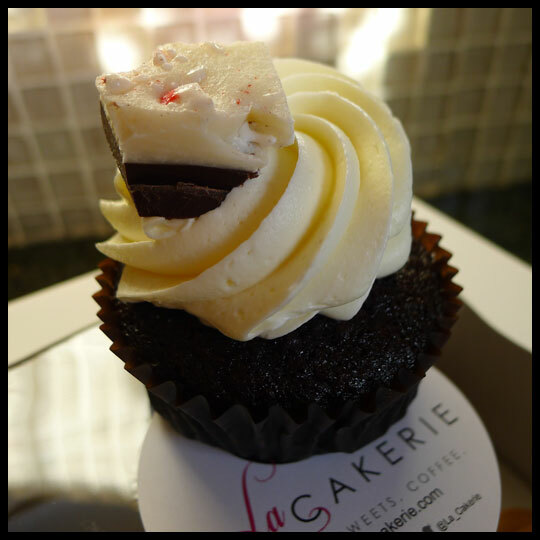 I must confess that I was really apprehensive about going to a vegan bakery after recently having had some bad experiences, but I think it’s important to review all kinds of cupcakes, especially for the vegan cupcake lovers out there. Marina and I proceeded with caution and ordered the Mocha cupcake to split. Expecting the worst, I was actually pleasantly surprised. The cake had a really nice chocolately coffee flavor, and it was moist (yay!). I thought the simple dairy free buttercream went well with the cake, but it was a little too dense for Marina, who prefers a much lighter frosting. 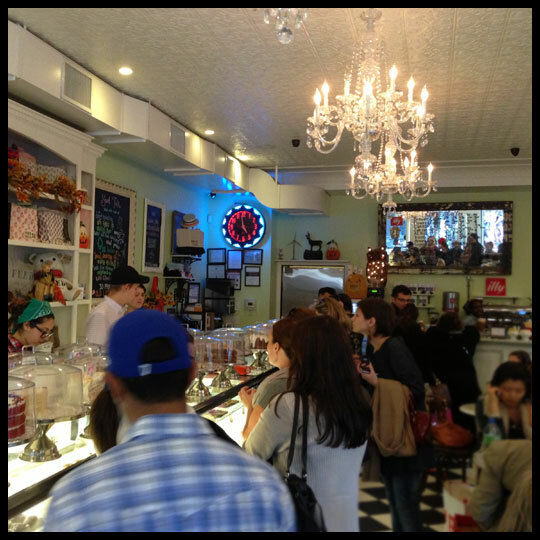 Knowing we had three more places to visit, we left without quite satisfying our sweet tooth, but our next stop, Blue Bird Bake Shop, was just a short drive away. Like Raphsodic, Blue Bird Bake Shop also had an eclectic selection of mismatched plates (in fact, it’s the largest collection I’ve ever seen) and their decor was a stunning blend of rustic chic. Beautiful blue and brown tones filled the shop and Marina and I couldn’t stop “oohing” and “ahhing” as we ate our cupcakes. 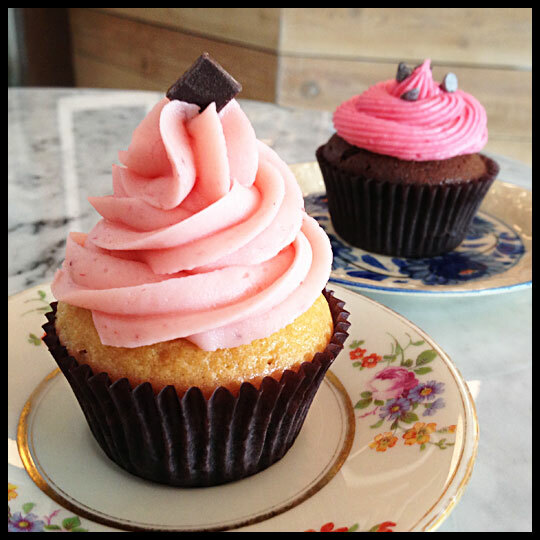 This time around we each got our own cupcakes; I choose the Neapolitan and Marina selected the Chocolate Raspberry. After eating our cupcakes and browsing the t-shirts, coffee products, and uniquely flavored marshmallows, we headed to our next stop, Sweet! 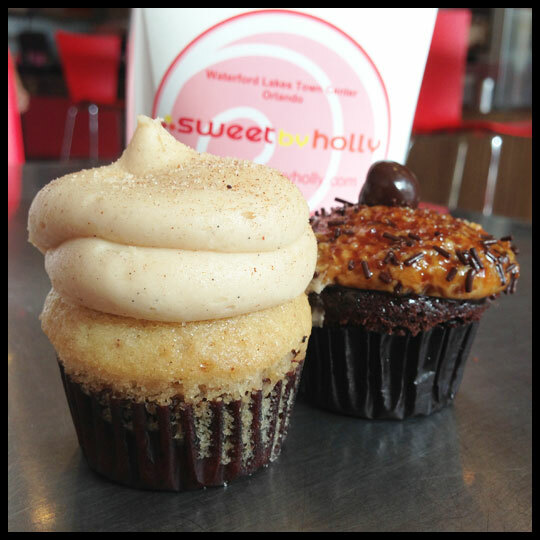 by Good Golly Miss Holly (a two time Cupcake Wars winner). Sweet! not only sells cupcakes, they also have a huge selection of frozen yogurt and toppings, but Marina and I didn’t let this distract us from our mission. 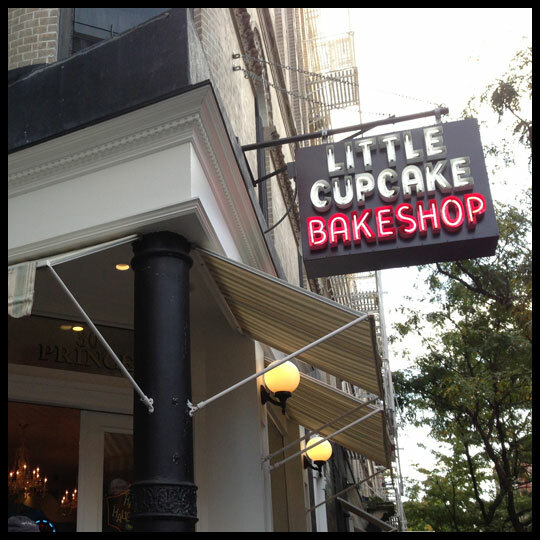 We made our way passed the froyo machines and straight to the cupcakes. 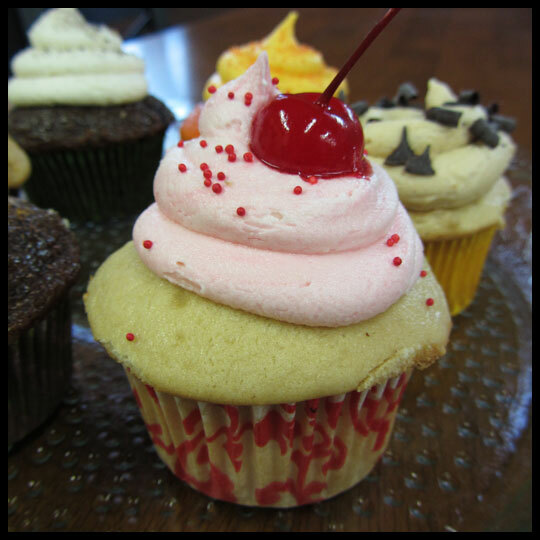 Sampling as many different flavors as possible is always fun, and since Sweet! sells primarily minis, that made it an easy task. They had a ton of flavors available and Marina and I spent a lot of time narrowing our choices down to six each. 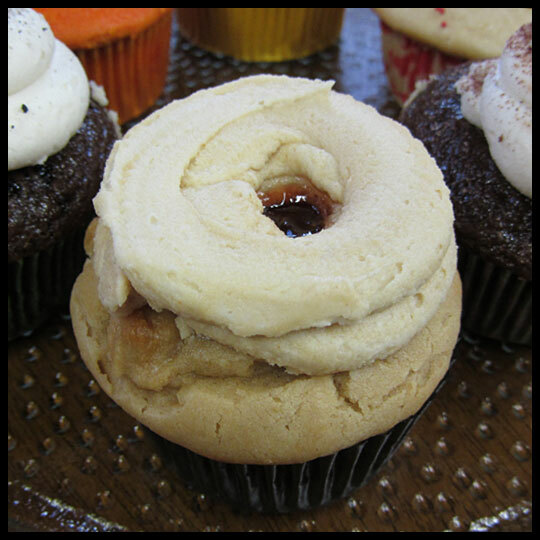 I decided on the Coffee, Peanut Butter and Jelly, Tiramisu, White Chocolate Raspberry, Banana, and Cinnamon. Some of the flavors were just okay and some were great. The big disappointment for me was the Tiramisu. 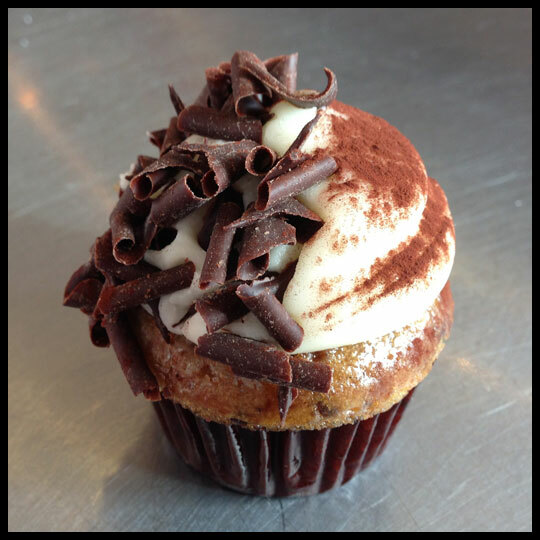 The first Tiramisu cupcake I ever tried was from Sublime, in Wyomissing, PA, (review here). None have been as good since then, but Sweet!’s didn’t even taste like Tiramisu. 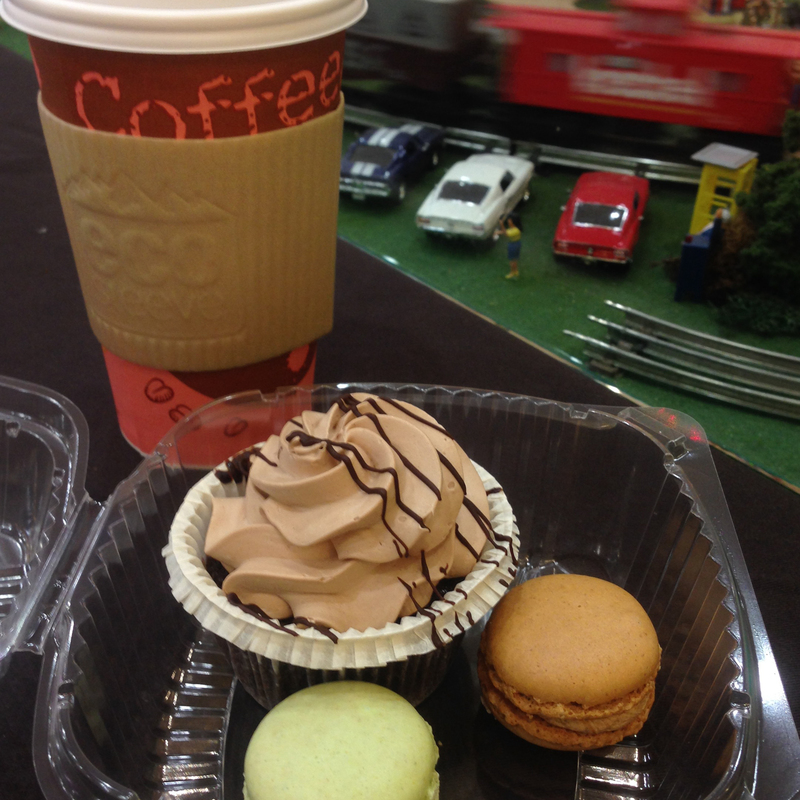 Luckily, it was only a mini and I had other flavors to enjoy, like the Coffee and Cinnamon, which were AMAZING. Each packed tons of flavor in such a small size. I could have easily eaten two of each on that visit. 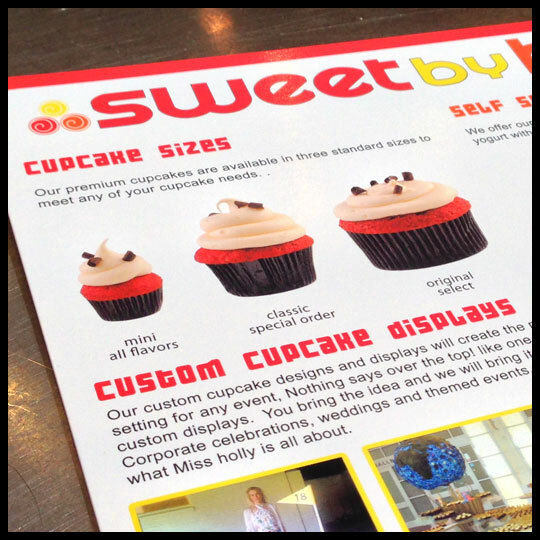 After our visit at Sweet!, Marina and I found ourselves entering a cupcake coma, so decided to do a little shopping before making our way to our final stop, Sweet Designs Kitchen. 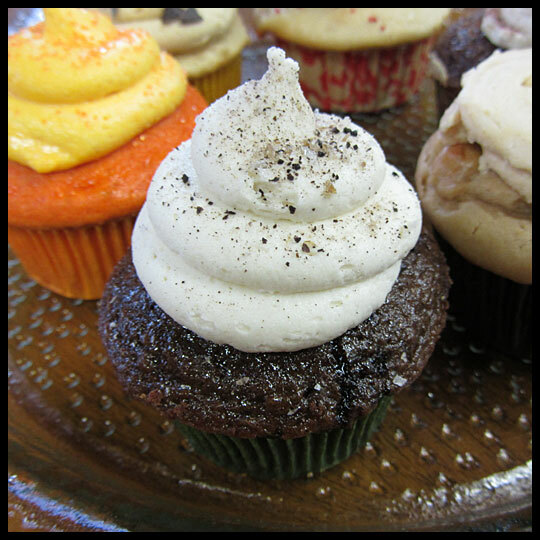 Even with shopping and a 40 minute drive, we were still cupcaked-out when we arrived at Sweet Designs Kitchen. It was the end of the day, and their selection was limited, but the staff was super friendly. We decided to get two cupcakes each, to go. 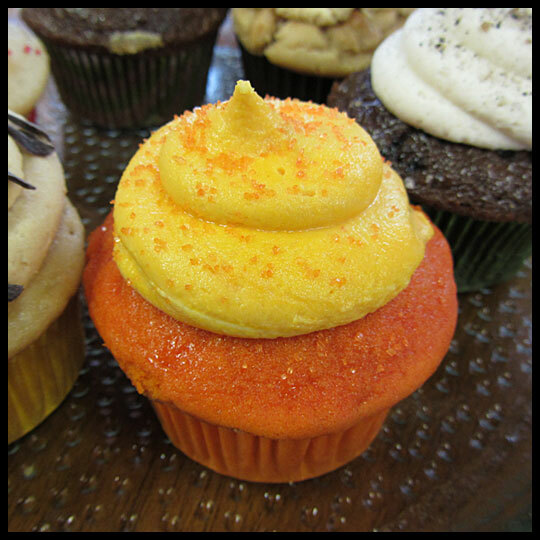 After all the cupcakes we tried that day I realized that I was in Florida and hadn’t yet gotten any citrus flavors. 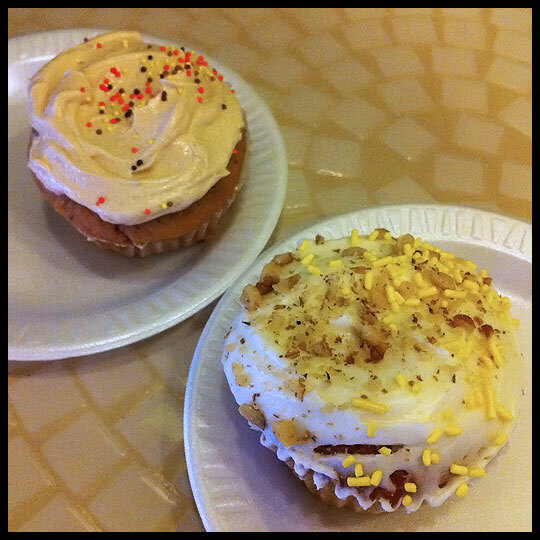 I happily remedied that and got the Coconut Key Lime and Orange Creamsicle cupcakes, while Marina choose the alcohol-free Mocha Lua and Banana’s Foster cupcakes. Unfortunately, Marina didn’t eat hers until a day later and I ended up waiting two days. Both of us felt that the cake was dry, but we really can’t fault Sweet Designs Kitchen for that since we didn’t try them when they were fresh. 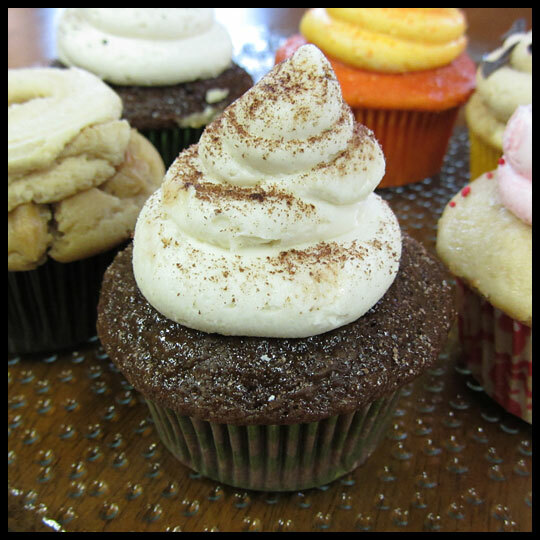 Even though the cake was dry I thought that the flavors of my cupcake were really fantastic, especially the fillings. The Coconut Key Lime was my favorite and I thought the key lime curd filling blended really well with the coconut frosting. Marina thought that the frostings on her cupcakes were both too heavy and that the cake was a little bland, but agreed that the fillings in her two cupcakes were really great. 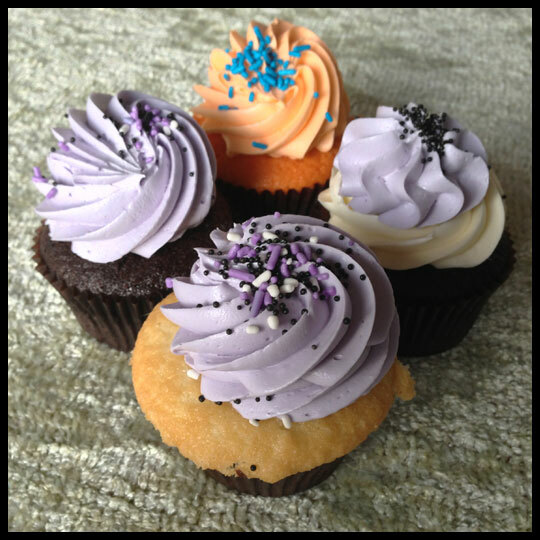 We are delighted to have our first guest review by avid cupcake lover, Jessica, of Poundcake Press. 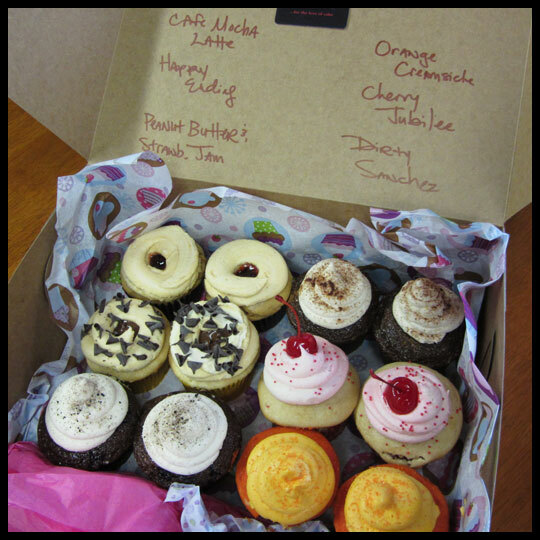 Last January Jessica joined us on a cupcake tasting at Flavor Cupcakery and was even kind enough to donate her adorable cupcake thank you cards to one of our giveaways. 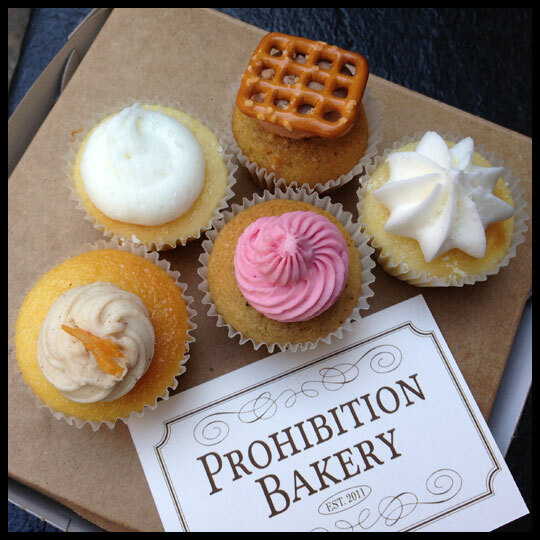 Today we are sharing her recent visit to Sugar Bakeshop located in Charleston, South Carolina. 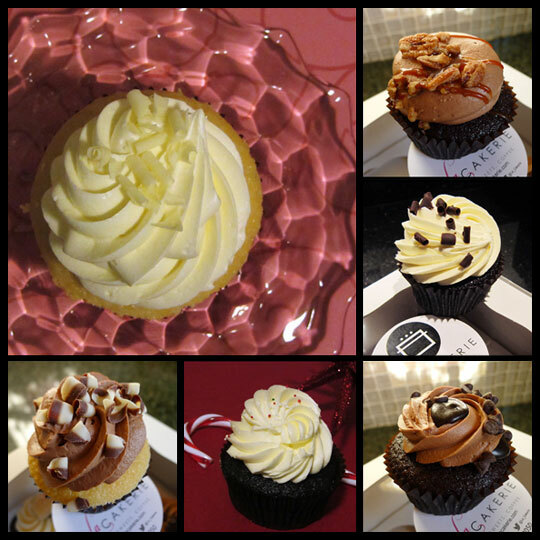 She’s awesome and we hope to share more of her cupcake adventures with you all. Thanks Jessica! Charleston, South Carolina is one of my favorite places to visit. I love the southern hospitality, charm and the amazing food! 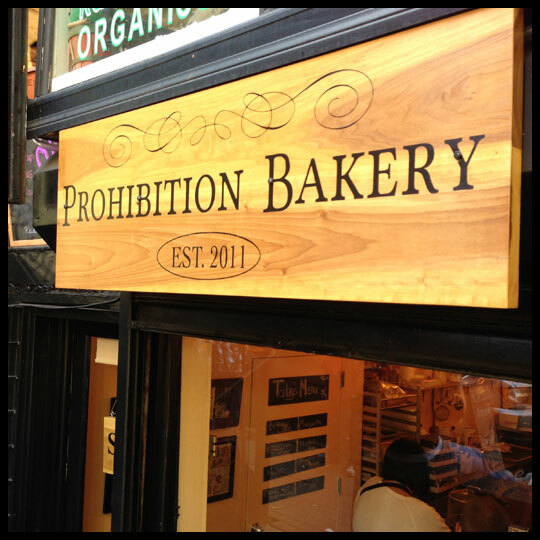 On a recent visit with my husband and my parents, we decided to check out a bakery that I had heard great things about. 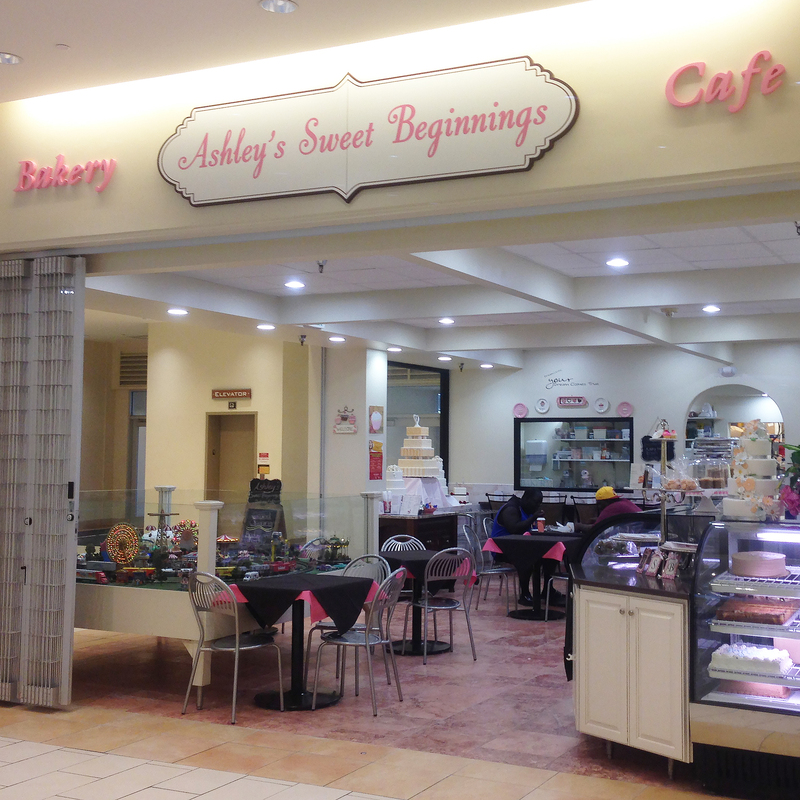 Sugar Bakeshop sells cakes, pies, tarts, cookies and cupcakes (as well as a few other sweet treats). 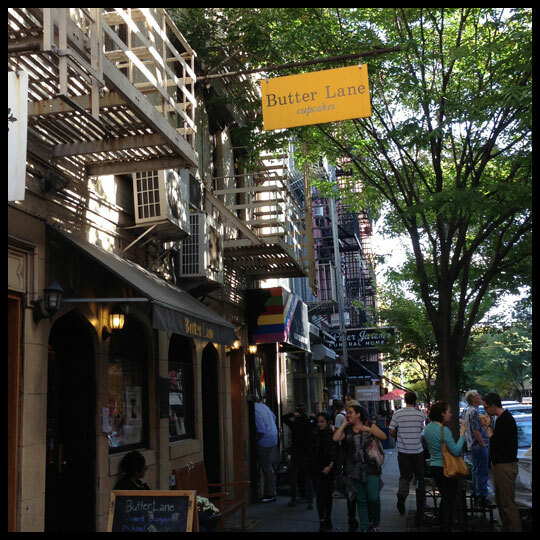 The bakery is a little out of the way from the historic downtown area, and parking is a little tricky, but don’t let that deter you. 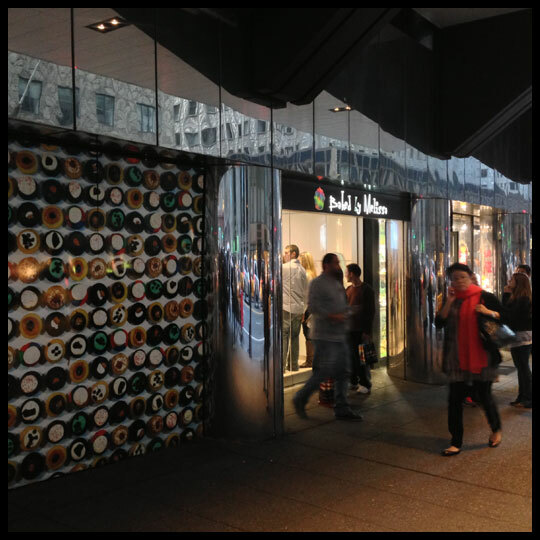 The building itself is adorable and inside you find the most inviting display of goodies. 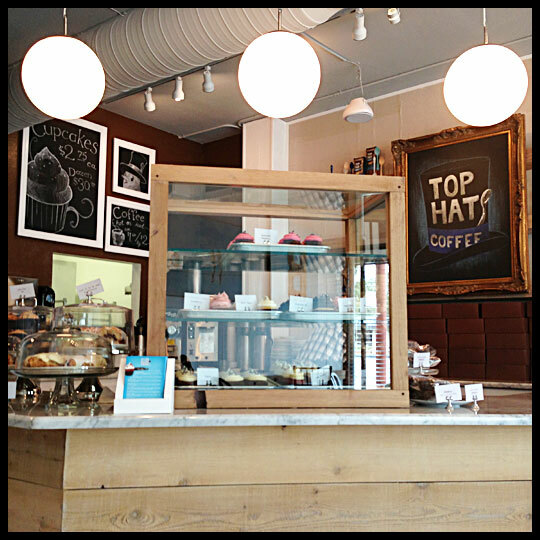 When you walk through the doors of the quaint shop, you are faced with a charming display of vintage cake stands and jars containing every sweet treat you can imagine – including some good old southern sweet tea. Happiness! A super friendly employee greeted us right away and went over all of the flavors they had on display that day. My mom and I picked out a half dozen cupcakes to go and we were on our way. My only regret was not grabbing a sweet tea and chocolate chip cookie for the ride! 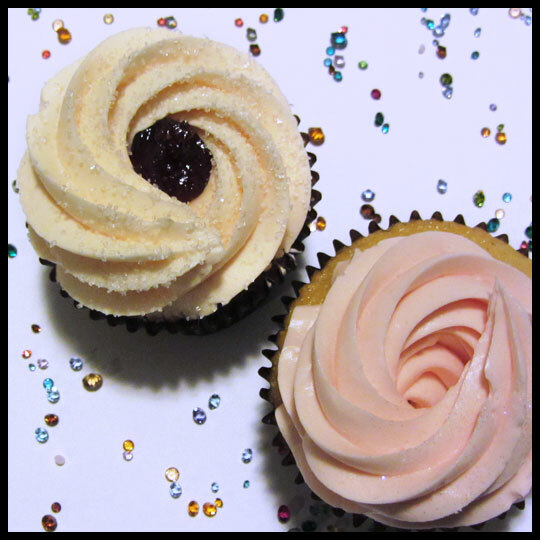 The peanut butter and jelly cupcake is a must-have for a PB&J junkie like my husband. 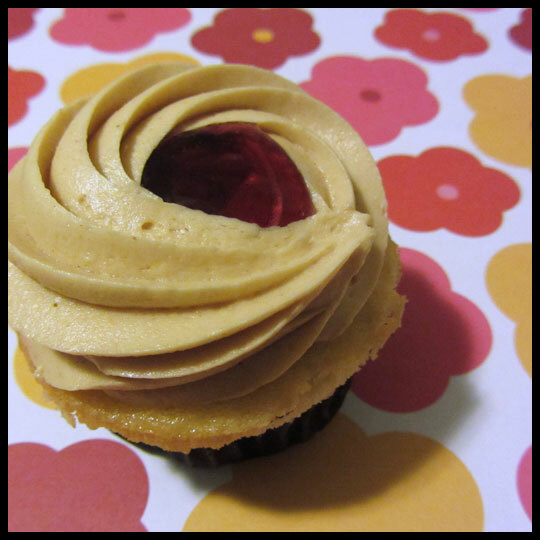 The peanut butter icing was very rich and creamy. According to my husband, the white cake was perfect because it reminded him of eating a PB&J sandwich on white bread. Our only complaint with this one was that, even with the delicious strawberry jelly inside, the white cake was very dry. 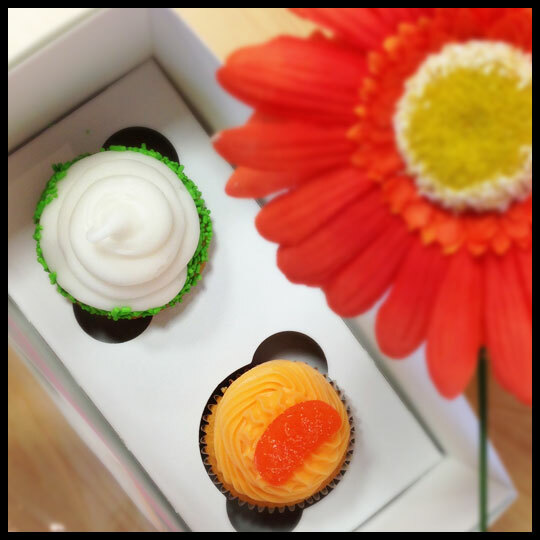 The lime cupcake was really pretty with sugar crystals and light green buttercream icing. Both the cake and the icing were vanilla, so the lime filling is what really made this cupcake. It was super tangy and refreshing. 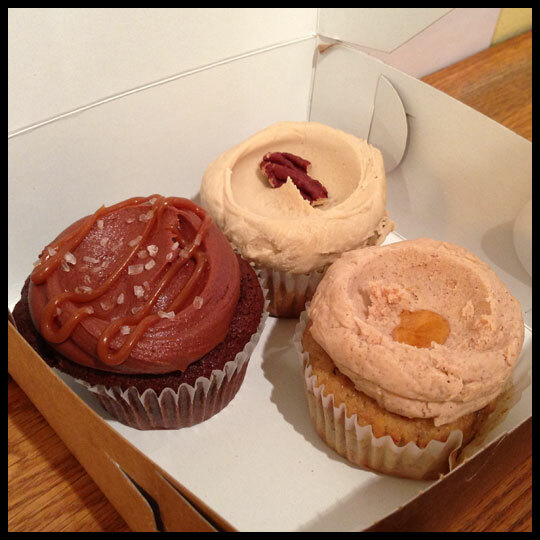 The caramel cupcake was the one that I was most excited about and it did not disappoint. 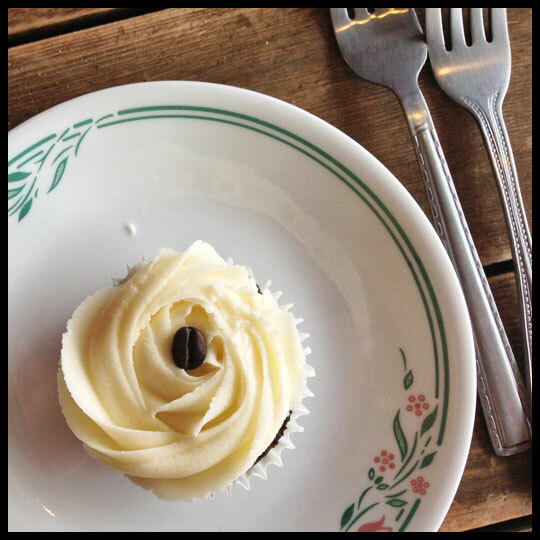 The icing was thick and fudgy – I loved it! The vanilla cake was moist and light and I thought it was a perfect match for the candy-like topping. 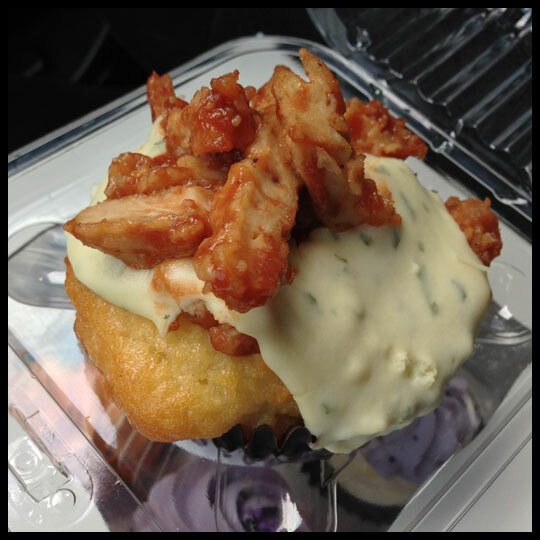 The coconut cupcake reminds me of a snowball. I didn’t get a chance to try this one but my parents described it as heavenly. The dense vanilla cake was moist and loaded with shredded coconut on top. The vanilla buttercream icing was also delicious, and not too sugary sweet, which was good because it was piled high! 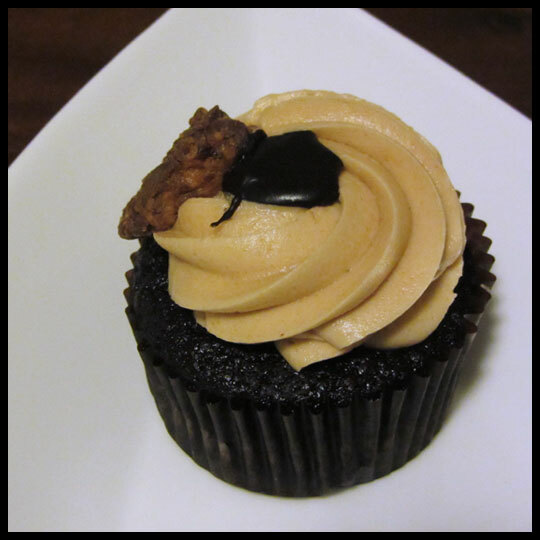 This cupcake was a dream for a chocoholic like me. The cake had a dark chocolate flavor and was rich and moist. The thick, fudgy icing was simply delicious. I drank a tall glass of milk with this one and I was in heaven. My husband and I are huge fans of lemon cupcakes. 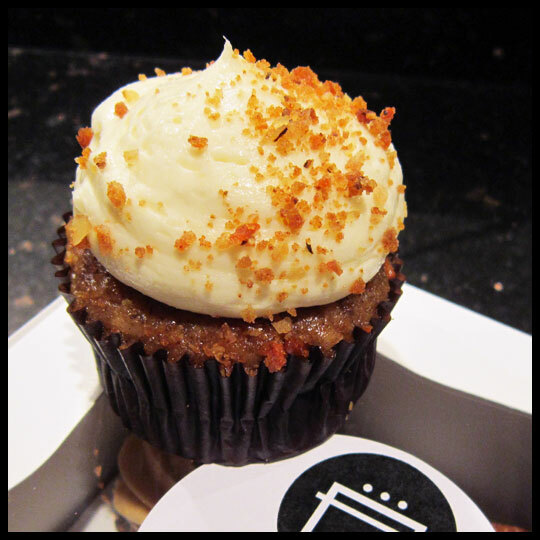 After sampling quite a few rich desserts, a citrus-flavored cupcake is usually a real treat. 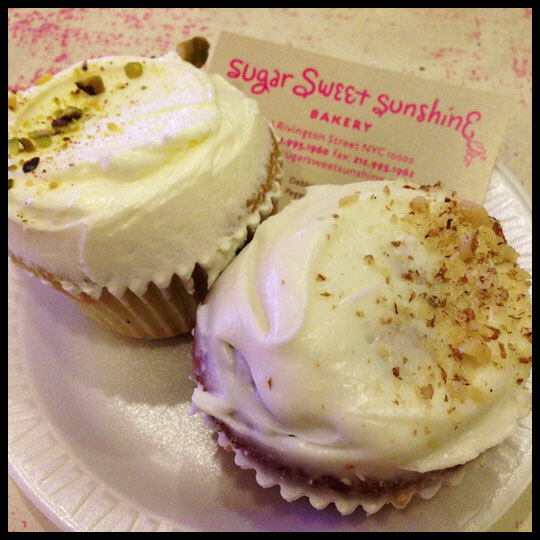 The lemon cupcake from Sugar was similar to the lime cupcake. The vanilla cake contained a tart lemon curd filling and was topped with vanilla buttercream icing. 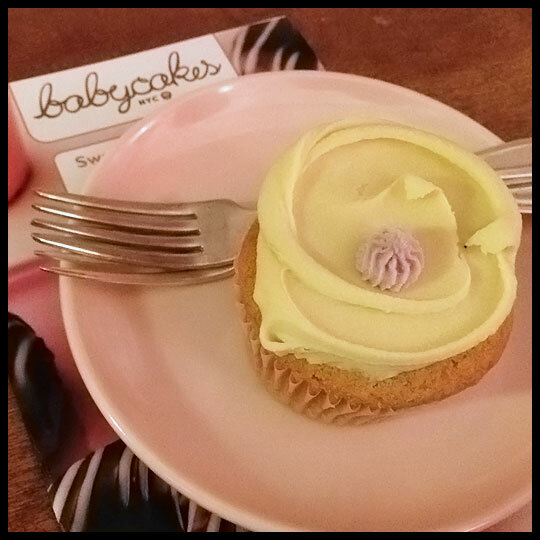 While there wasn’t anything wrong with the subtle flavors of this cupcake, I would have liked it more if the lemon was a little more prominent. 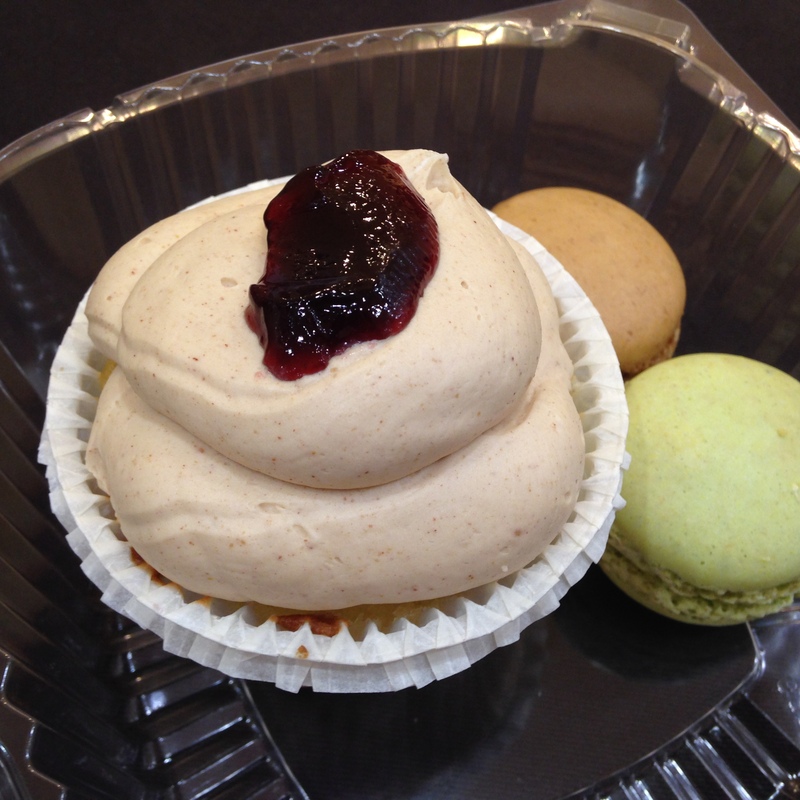 Overall, my family and I were pleased with everything we tasted from Sugar Bakeshop. We’ll be sure to stop in the next time we’re in Charleston. 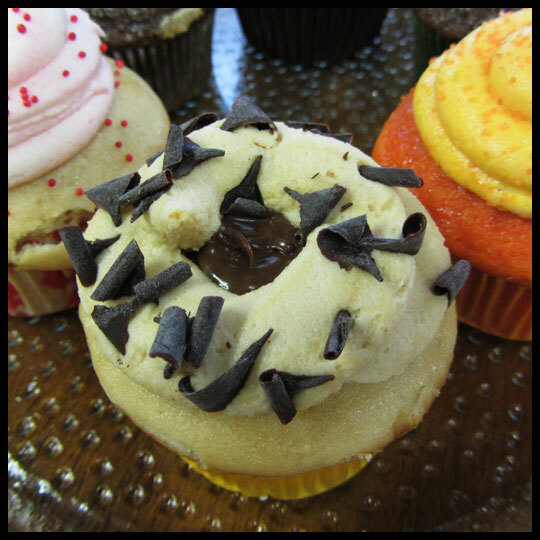 With all of the different desserts they offer, there is so much more we still have to try! 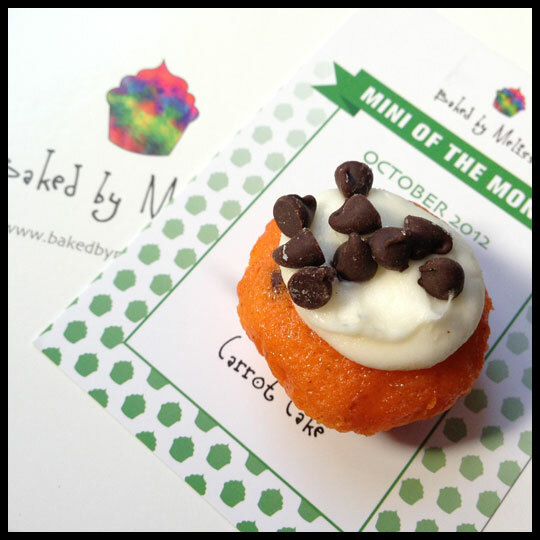 – Review by Guest Crusader, Jessica of Poundcake Press (Baltimore, MD). To find out more about Poundcake Press, visit their Esty Shop or follow them on Facebook.